and linen. 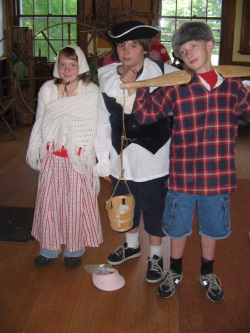 Dress-up in period style clothes is a popular activity. Visitors grind wheat and corn into flour to take back to the classroom. There is a nominal entrance fee for non-Walpole school groups. Contact the Institute for further information.